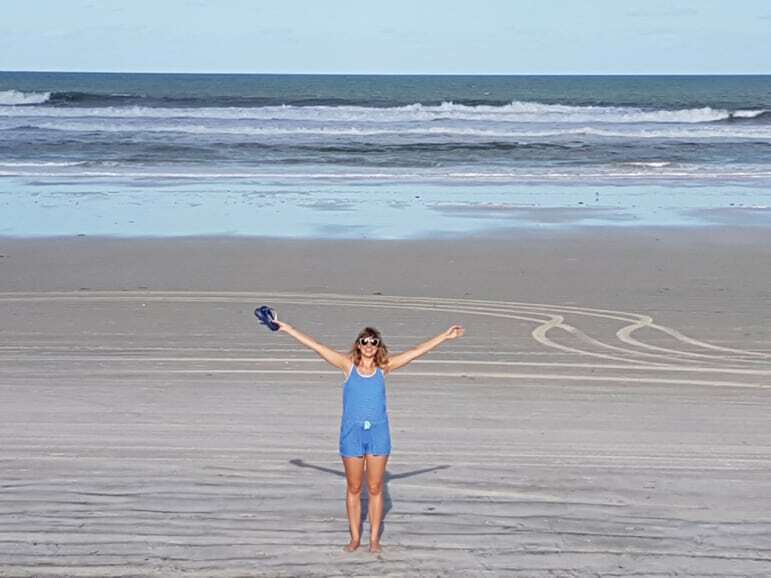 My wheels swept smoothly over the sand like paint-rollers on a wall, the soft crunching sound punctuated by the occasional, satisfying pop of seaweed, as I took in one of the more unusual Daytona Beach attractions. 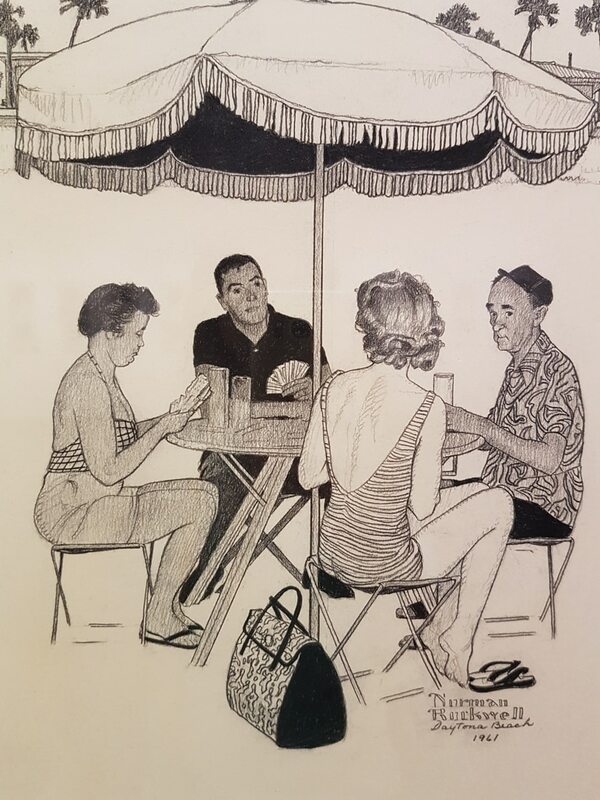 Sweet, salty sea air roared through my open windows as I passed people splashing in the waves, struggling with deck chairs or just padding, barefoot, by the shore. 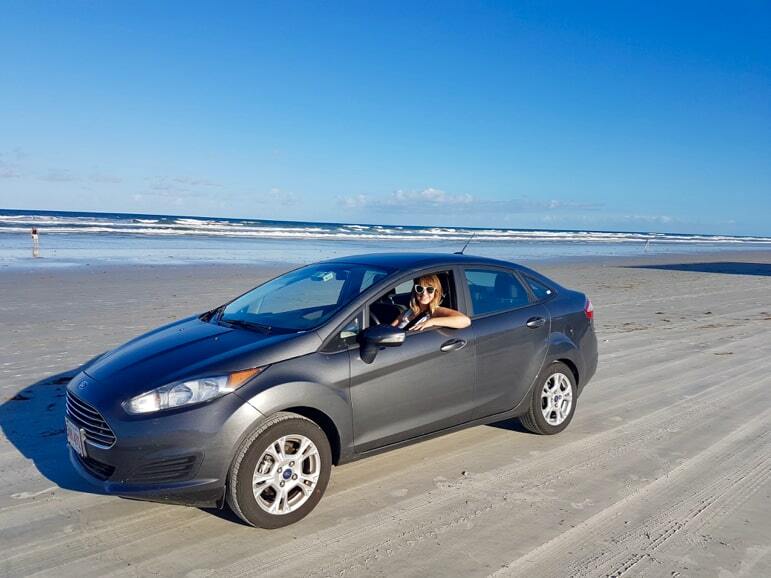 The pale taupe sand of Daytona Beach, in Florida, stretches for 23 miles, and its compact, hard-packed quality makes it ideal for driving. At low tide, that is, and at no more than 10 miles per hour. Still, having driven more than 3,000 miles following US Route 1 since picking up my Hertz rental car in Maine to reach this coastal town, swapping tarmac for sand was a treat. 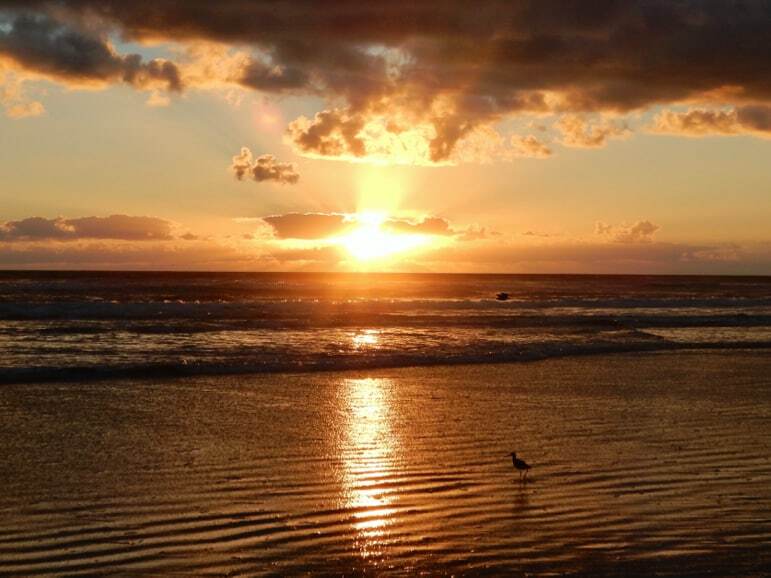 So soothing, so deliciously different – so Daytona Beach. You can enter at various checkpoints, paying $10 to cruise around for the whole day, should you wish. You can even park up at certain points and lay your beach towel right by your car. Driving on the beach is nothing new here, in the home of NASCAR races. The first automobile and motorcycle races here took place right on the sand from 1902, continuing until Daytona International Speedway opened in 1959. Back then, a world record was set at 276 miles an hour. 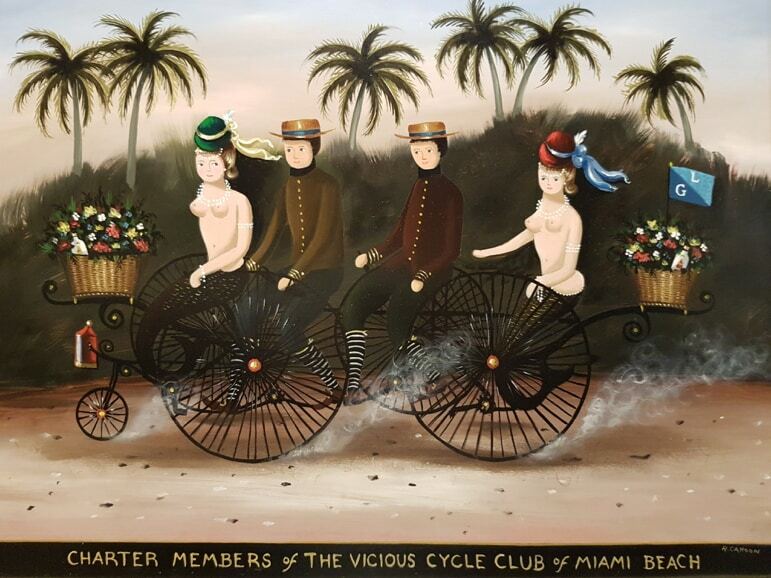 Rather faster than the sedate speeds permitted today, of course – but tearing up the sand wouldn’t really be fair to those sunbathers. Because, the beach really is the thing here – the sandy, salty lifeblood from which this vibrant town flows. I’m not a morning person, but even I was drawn from my bed in time for sunrise (not every day, of course). The skies were dappled with golden pink, reflected on the sand, before erupting in fiery amber and coral. Equally spectacular sunsets are best viewed from high spots such as The Roof at Joe’s Crab Shack, on the Main Street Pier. The beach is even prettier bathed in moonlight. Ocean Deck has been one of the classic Daytona Beach attractions for more than 50 years, and is the place to be after dusk. Down a few steps from the main restaurant is the bar, packed with locals enjoying the nightly live music (a blues cover band when I popped in). A menu with succulent, crispy mahi-mahi sandwiches, burgers and fish tacos is complemented by a long list of local ales. But the real draw? The terrace with steps down to the sand. I could have stayed all night, listening to the waves mingle with rasping vocals drifting from the open door. 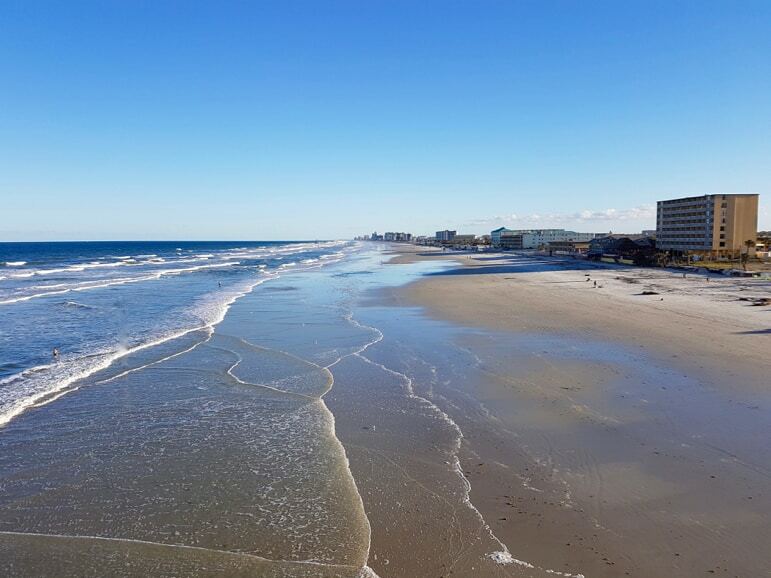 The laid back, sand-in-your-toes vibe of Daytona Beach is a big part of its charm – as is dining with a sea breeze rather than air conditioning. At Caribbean Jack’s, named after a Prohibition-era bootlegger, seafood platters and fried chicken are served at swinging tables while live music plays on the deck. In chic (but still very chilled-out) Ormond Beach, a walkable hub has several modern restaurants and bars. I loved Grind Gastropub & Kona Tiki Bar, a breezy spot with cocktail art on the walls, a stage for live music and whimsically-named dishes including Lose Yourself (luxurious lobster mac ‘n’ cheese) and Buffalo Soldier (a bison burger). A few steps away, Art Deco-style 31 Supperclub has an al fresco bar and fire pit in its leafy, walled courtyard, with a playlist of Rat Pack classics. 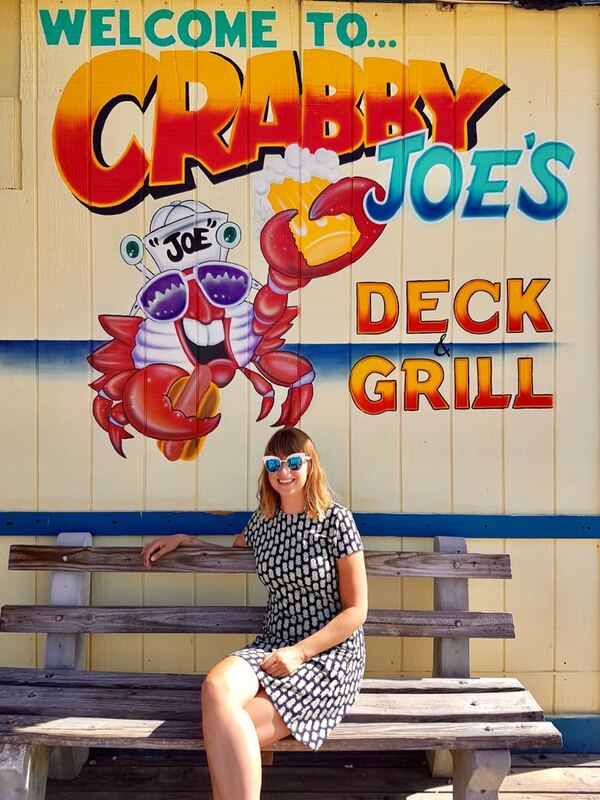 Breakfast (or brunch, depending on the number of cocktails consumed the night before) is a joy here, and Crabby Joe’s on Sunglow Pier is one of the best spots to savour it. 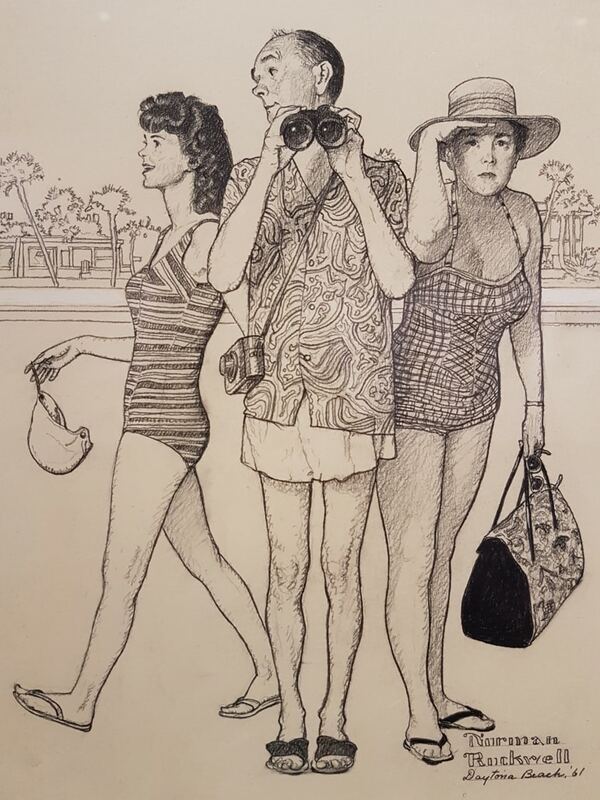 I lingered over a heaped plate of shrimp and cheese grits with andouille sausage, watching surfers and the occasional leaping dolphin mess around in the water. A short drive away, I found another unexpected attraction. 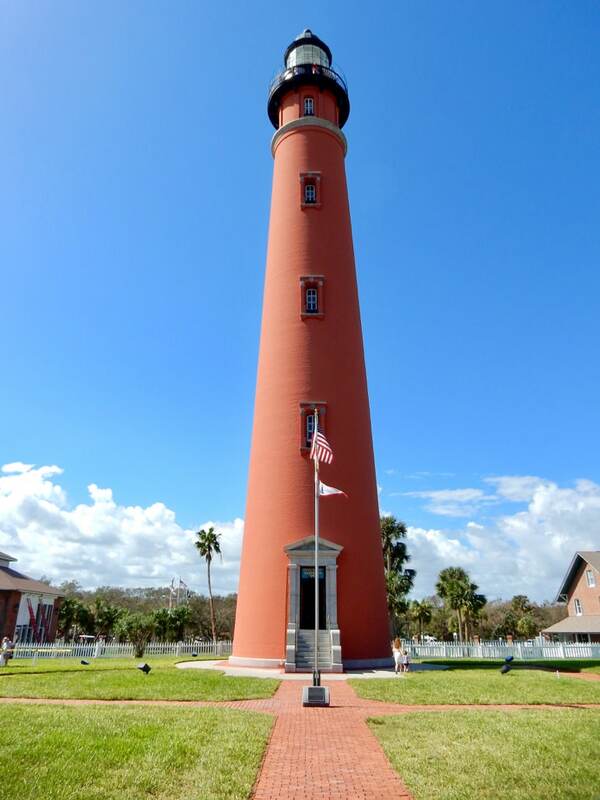 At 175 feet, Ponce de Leon Inlet Lighthouse & Museum is the tallest lighthouse in Florida. 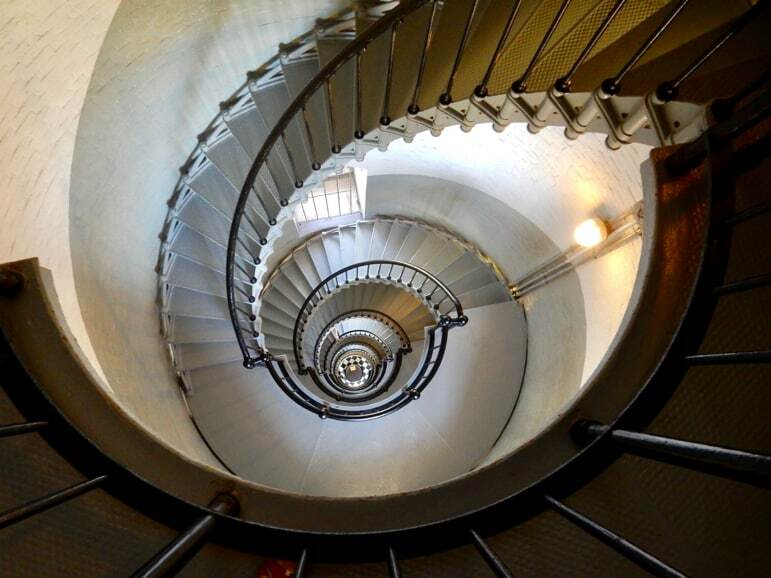 It’s 203 steep steps to the top of the terracotta tower, but worth it for views over Daytona Beach and a glimpse up at the lamp and lens, supported by a jade-coloured stand. Afterwards, I popped into the Marine Science Center, a few minutes’ walk away. I fed stingrays, stared into the curious eyes of turtles and marvelled at the strangeness of seahorses. At the back you can view Olive Ridley and Green Sea Turtles being rehabilitated in the medical facility. 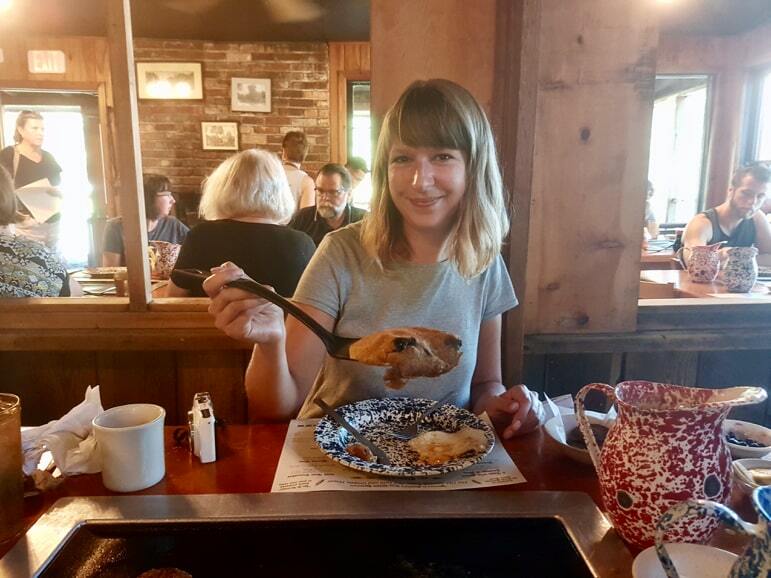 Half an hour west of Daytona Beach, the Old Spanish Sugar Mill Grill and Griddle House invites you to cook your own breakfast. If that sounds like a swizz, believe me – it’s great fun. 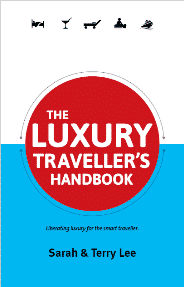 Each table has a hot plate in the centre, on which you cook and flip your own pancakes. Two ceramic jugs of batter – one made with unbleached white flour and one a blend of five stone-ground grains – arrive on the table with butter, syrup and extra toppings like blueberries, pumpkin puree and pecans. Somehow every golden, fluffy bite was more satisfying knowing I’d griddled the “’cakes” myself. 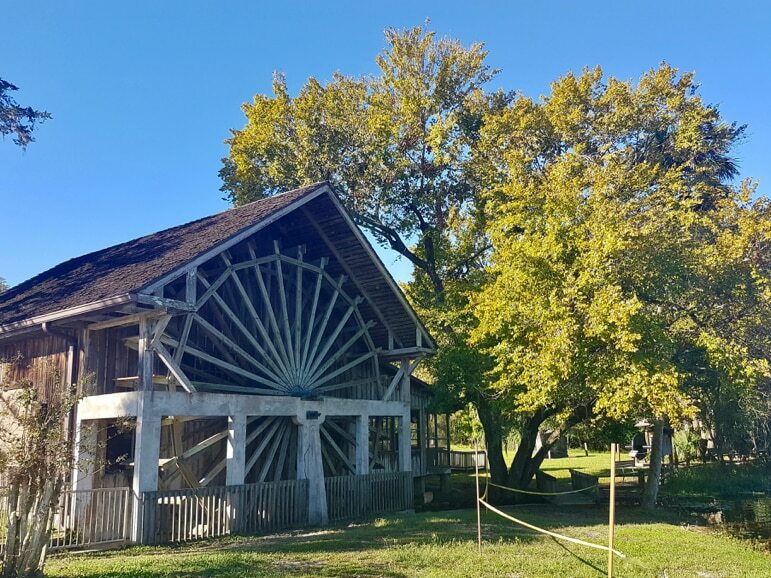 The restaurant is located in De Leon Springs State Park. 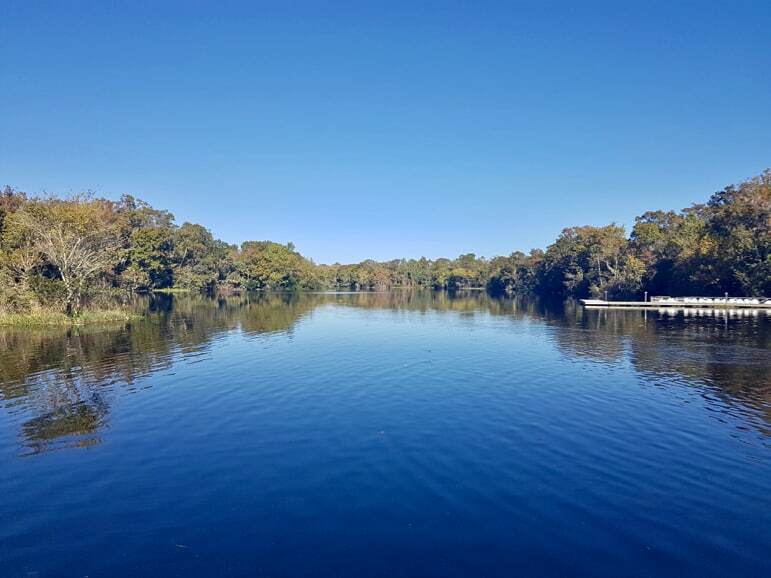 Here walking trails are canopied by oak trees draped with Spanish moss, canoes and kayaks are available to paddle towards Woodruff Wildlife Refuge, and a freshwater spring is perfect for a post-pancake dip. Nearby, the Stetson Mansion lifts the brim on the surprisingly little-known history of the famous hat maker. The former home of John B. Stetson and wife Elizabeth passed through six families after Stetson’s death in 1906, until the current owners stumbled across it in 2005. Since then, Michael and JT have lovingly restored the mansion – dotting it with original Stetson hats, of course – as a fitting tribute to its former owner, offering hugely popular behind-the-scenes tours and operating as a unique wedding venue. Rare, intricate parquet floors and leaded glass windows are among the original features in the sensitively updated rooms. The estate has a rich history beyond head-toppers. Henry Flagler, the engineer behind the Overseas Railroad that connected the islands of the Florida Keys, built a private track to the mansion so the best architectural materials could be directly delivered, while Thomas Edison installed the electric. En route back to Daytona Beach, I stopped at Artisan Alley in DeLand. You could so easily drive right by this hidden enclave of cool, which has a taqueria truck, weekly farmers’ market and craft beer pubs including Persimmon Hollow. 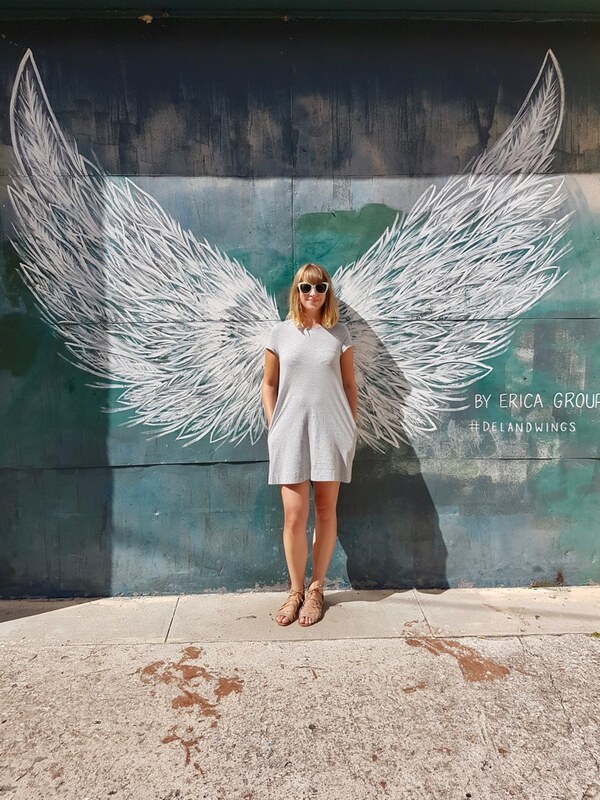 But you’d be missing out, especially the chic (and very Instagram-friendly) street art including my favourite, the DeLand Wings. At the Cici and Hyatt Brown Museum of Art back in Daytona Beach, sand is again a big focus. 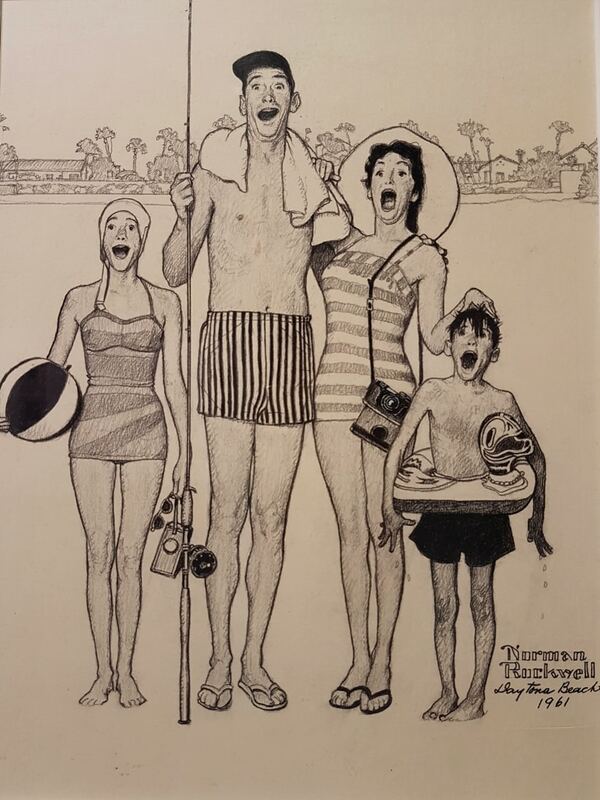 The museum houses the largest collection of Floridian art, including delightful snapshots of beach life sketched by Norman Rockwell. 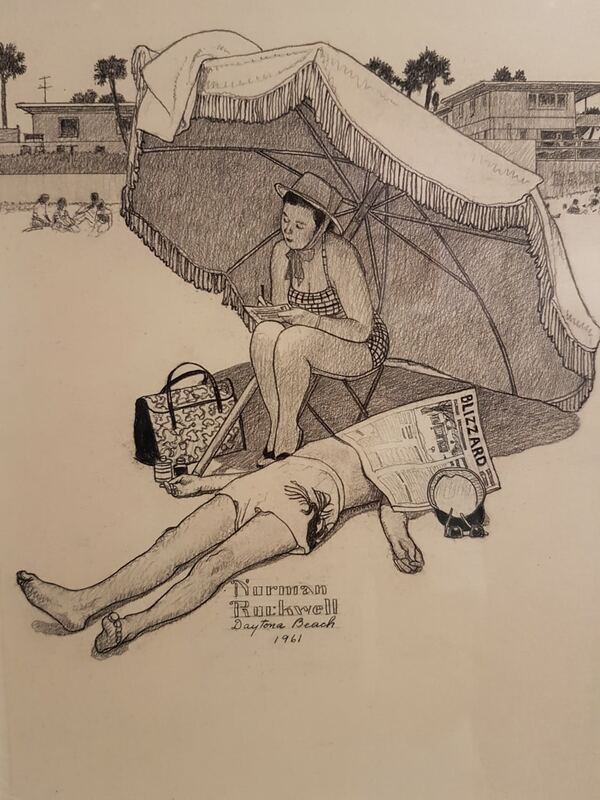 Women in skirted swimsuits shelter under parasols, kids splash in the waves and couples pad, barefoot, by the shore. 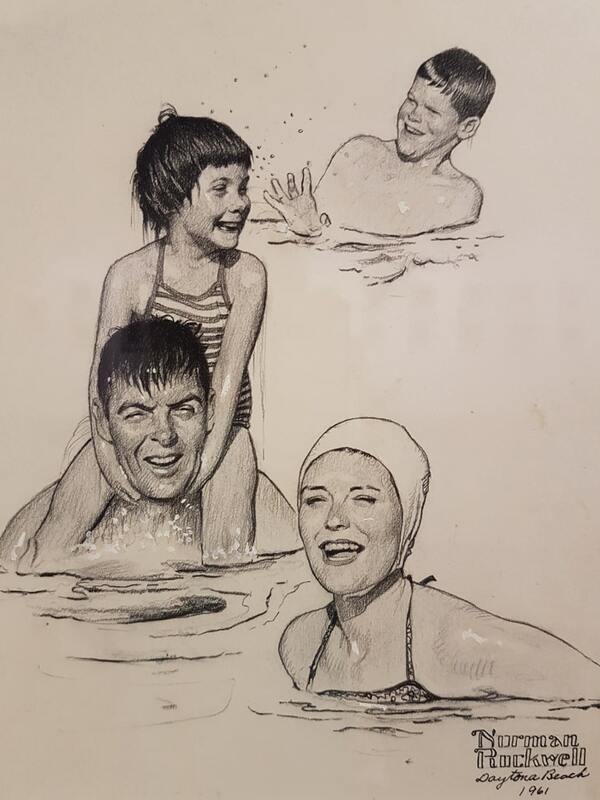 The fashions may have changed – but the simple pleasures of this classic beach town are timeless. The range of Daytona Beach attractions are legion, varied and wonderful, ensuring an array of eye-popping and mouth-watering experiences. 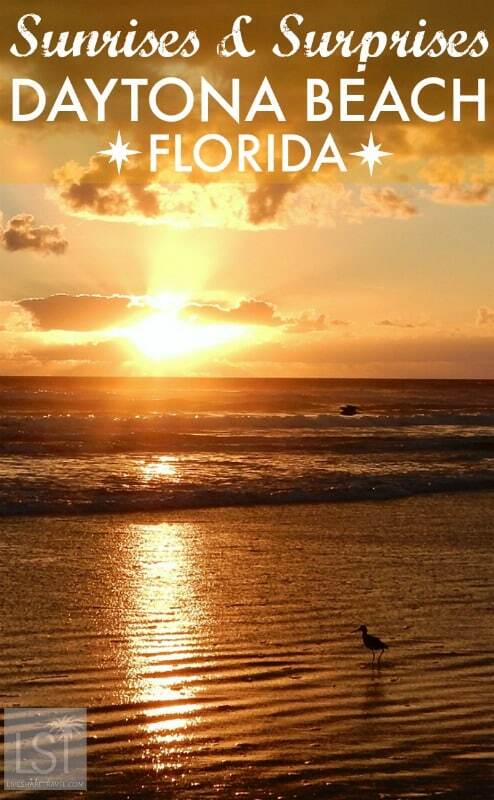 Shores Resort & Spa is Daytona Beach’s only AAA four-diamond resort, right on the beach. Fire pits aglow at night, an al fresco cocktail bar and poolside cabanas facing the ocean elevate this above many other hotels along the seaside strip. Book a room with an ocean view balcony so you can watch the sunrise without dragging yourself too far. Love the coast? Learn more about the east coast of the US and Ella’s #DriveUS1 journey and discover places to go in Maine for roadtrippers.